After listening to that disappointment meek mills album I began thinking about what to expect from Wale. Now I would never really considered myself a huge Wale fan, however I have halfheartedly followed his career since his “Back to the Future” mixtape. I was satisfied with his first “Attention Deficit” album, but then his career took they drop. I really didn’t care due to the fact that he did have a song with Lady Gaga, but when I heard “More About Nothing” which I think is one of the best mix tapes ever I really became a fan. Then he drop his MMG debut album and it had its bright spots, then it also did has songs like chain music, which I hated. 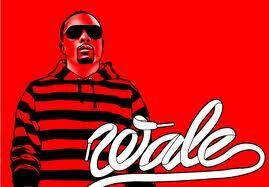 But in a recent interview he promised to go back to the original Wale, but is it to late. Did he already sell his sole to the industry; will the label allow the backpack raps after huge sales for singles like “Lotus Flower Bomb”? Well I hope they do if not it may be over for one of DC’s greatest rappers.